These days, every major cruise line (and most minor ones) has a loyalty program, but perks for past passengers are hardly the same across the board. Below, we break down the types of extras you're likely to find, so you can decide which ones matter most to you and where you have the best chance of finding them. For more detailed information about the offerings from most major lines, check out our article on Cruise Line Past Passenger Programs. Many cruise lines reward loyal passengers with cabin upgrades (Celebrity) or discounts on voyages (most lines), but some, like Silversea, even offer free sailings. Beyond that, cruisers can look for free specialty dining (MSC), discounts on future sailings (Seabourn), and fares for third and fourth passengers (Holland America). Caveat: Check pricing elsewhere to be sure you're still getting the best deal. 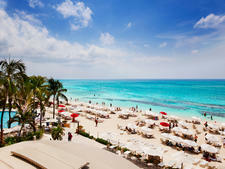 Sometimes the same (or better) pricing can be had through a travel agent or other outlet. Much like airlines, cruise lines don't want to keep their most valued customers waiting. Several lines, including Carnival and Princess, offer priority embarkation and disembarkation privileges, meaning certain passengers can board the ship before everyone else, be the first to access their cabins and avoid standing in long lines on debarkation day. 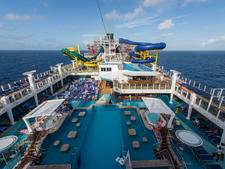 Caveat: In Carnival's case, all passengers have the option of purchasing a "Faster to the Fun" package, which allows them early boarding privileges and other perks like priority tendering -- no loyalty club status needed. While loyal members might not have exclusive rights to priority boarding, they benefit by not having to pay $49.95 to $79.95 like the general public. Want to feel like a VIP? 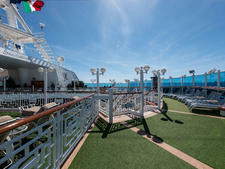 Many lines allow passengers access to special members-only lounges, such as Celebrity's Captain's Club Lounge or Royal Caribbean's Diamond Lounge, or give them invitations to exclusive events, such as Carnival's Platinum and Diamond Parties, MSC's Black Card Party or invitation-only behind the scenes tours (Royal Caribbean, Norwegian). Amenities in these restricted areas or at exclusive events run the gamut but might include free alcohol, appetizers, breakfast or recognition from the captain. Caveat: Reaching the level at which you're entitled to exclusive access can take some time -- and money. It might be worth considering whether that free glass of Champagne is worth the cost of eight cruises. 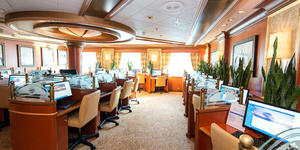 Cruise lines will often thank passengers by way of exclusive line-branded tokens and trinkets. For example, Carnival Cruise Line offers branded pins, Regent and MSC dole out luggage tags, and Holland America is known for its ship-specific commemorative tiles. Caveat: Although they won't be quite as elite, branded items can also be snagged via onboard competitions like trivia and bingo. Another thing to keep in mind is that these items are meant for you to display, so it's like free advertising for your cruise line. Many loyal cruisers benefit from complimentary offerings, including photos (MSC), Internet access (Celebrity, Princess, Seabourn), laundry service (Holland America, Carnival) and alternative dining (Norwegian's Le Bistro restaurant and Holland America's Champagne breakfast). Caveat: Once you begin buying photos or surfing the Web, you might find you can't stop -- even after you've used your freebies -- and before you know it, you will have accumulated quite a hefty onboard bill. In addition to the already-stellar service you'll find on most ships, some lines provide their most loyal members with access to concierge services (Norwegian, Royal Caribbean), which can help when trying to book sought-after shore excursions or spa treatments. Caveat: It's customary to tip for these services, which will add to your bottom line cost for each sailing. If you're loyal to one line, you might find you can also get perks on a sister line. For example, if you're at the highest tier with Royal Caribbean, you'll also be at the highest tier with Celebrity or Azamara (all Royal Caribbean Cruises Ltd. brands) -- and vice-versa -- as long as you sign up for their rewards programs prior to sailing. 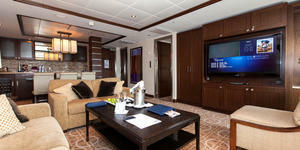 (This is not available on Carnival Corp. brands.) 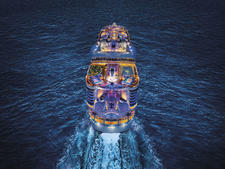 It allows loyal cruisers to add some variety to their experiences without giving up their priority status. And on some lines, the elite perks of one person in the cabin will be shared with her family or cabinmates for that sailing. Unique to MSC Cruises is its Status Match option, which allows members of other cruise line loyalty programs to receive the MSC benefits that correspond to their level in the other program, by registering online ahead of time. Caveat: Reciprocity is generally reserved for select sailings only, and it's not always clear which ones qualify. 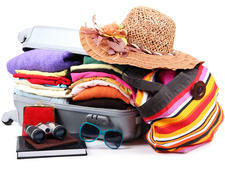 Be sure to check with your line or travel agent before booking with a line that's not your norm.